The Borough of West Chester’s Comprehensive Plan Task Force invites the public to its open house at the Melton Center, located on East Market Street just past Adams Street. Learn about the planning, growth, development issues and other challenges facing West Chester. The public will be able to provide written and verbal feedback on a series of comprehensive planning issues at information stations. The open house will be held on Monday, November 10, 2014 at 4:30pm and concludes at 8:00pm. A formal presentation occurs at 5pm and 6pm. It will include discussion about the status of the Task Force’s work, the issues facing the Borough, and the open house’s logistics. For more information on the open house visit the Borough website by clicking here. The West Chester Downtown Foundation has extended the nomination period for the 2014 Historic Preservation Awards Program. Nominations for projects that reflect outstanding historic preservation practices within the Borough of West Chester will now be accepted through June 27, 2014. The purpose of the Historic Preservation Awards is to raise awareness of West Chester’s historic character and to encourage the preservation of its historic integrity. To nominate a person or project, simply complete and submit the 2014 Nomination Form within the nomination period (April 13-June 27, 2014). Nominations must be for projects and properties located in the Borough of West Chester, Pennsylvania. Deadline for submissions is 5:00 p.m. on Friday, June 27, 2014. Electronic submissions of Nomination Forms will not be accepted. For more information visit Downtownwestchester.com or click here. Attention Residents of West Chester: Did you know that the Borough of West Chester offers a system in order to contact residents with important information relating to weather situations and other emergencies? With the recent winter weather conditions that our area has been experiencing it’s very beneficial to join to ensure you and your family’s safety. You can add or update your current information by clicking here. For more information visit the Borough of West Chester official website, www.west-chester.com. 8am to 10pm, Monday thru Friday. FREE on Saturday until 5pm. Saturday evening enforcement from 5pm to 10pm. FREE on Sunday except during major events which have a $5 flat fee. 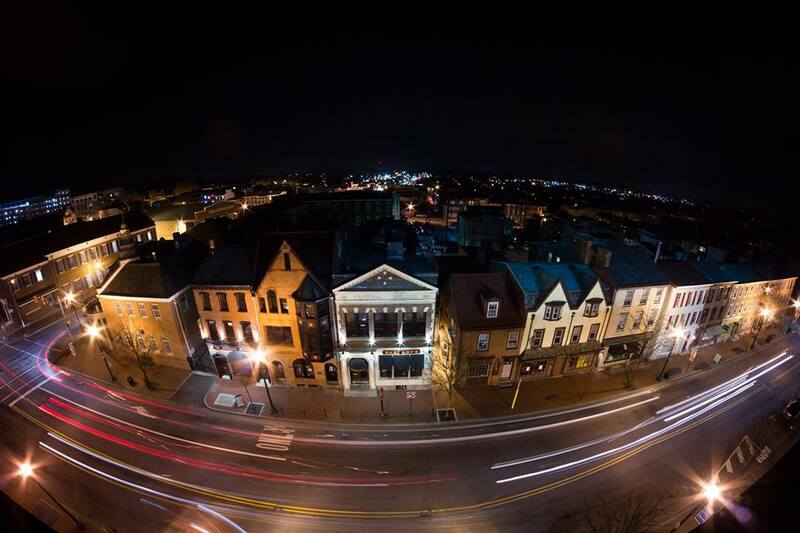 Your best option for parking in downtown West Chester are the centrally located municipal parking garages. Park as long as you want and have no fear of getting a parking ticket. To add convenience to downtown parking, there is a pilot program currently underway to test new parking meters. They’re the shiny ones found on portions of Gay and Market Streets and they now accept Visa/Mastercard as well as quarters. Incase you do encounter a ticket in the future, paying them just got a little easier! You can now pay them online by visiting the Borough of West Chester’ official website www.west-chester.com.